If you live in the Gainesville, GA area and own a Kia you’re in luck. You can have your Kia serviced at Carriage Kia of Gainesville and trust that your vehicle is in good hands. And let’s be real, you want your precious Kia in good hands. 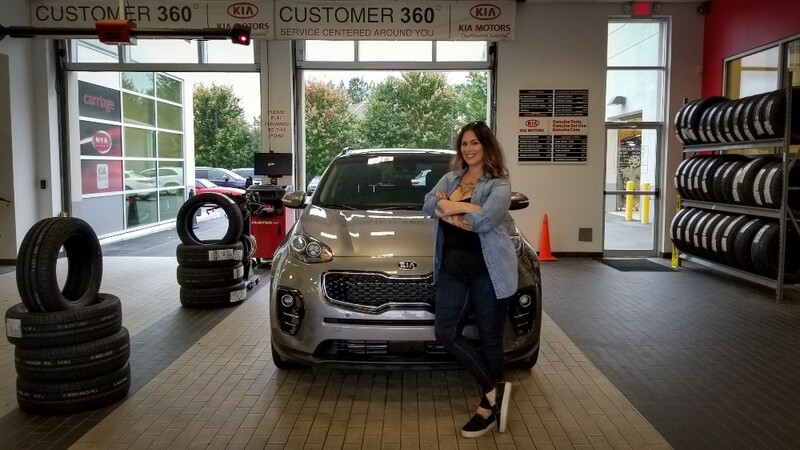 There are only a handful of Kia dealerships in the Atlanta and greater Atlanta areas so, living near here means you don’t have to travel far or worse, leave your Kia in the hands of a third party mechanic. The service department at Kia dealerships are the best option for having your preventative and scheduled maintenance done as well as any unexpected repairs. So what’s it like going to Carriage Kia of Gainesville to get service? You can expect that you’ll be greeted with a warm and friendly staff member who will listen to your concerns. If are arriving for scheduled maintenance, you should schedule an appointment ahead of time so you can get in and out as quickly as possible. Once you arrive, you’ll be able to relax, grab a coffee, charge your phone or even work from your laptop. One thing I love about both Carriage Kia of Gainesville and Carriage Kia of Woodstock is that they are both pet-friendly. So, you don’t have to leave Fluffy at home. While you’re waiting for your service to be completed, you should take a moment to check out the latest inventory in the Kia family. Kia has stepped up its game over the last five years and is really bringing it’s A game in quality, fuel efficiency, safety and technology. You might find something that steals your heart! Plus, you can get a $25 gift card just for test driving a new vehicle! When servicing is complete you can expect a nice clean and vacuumed car as part of the Carriage Concierge Service from Carriage Kia. You can also expect only the best products to be used. While you’re there, be sure to inquire about your tires to get an idea of when you might need new ones and what you can do to get the most out of them. They will check everything out and let you know if anything looks like it will be needing work or needs work. Getting your Kia serviced does not have to be a mundane task. You can catch up on emails, work from your laptop, and enjoy a coffee/snack while you wait. Plus, you have the best advice at your call so you can leave fully operational, informed and confident that you were in good hands. And Fluffy will love the adventure too. Stop by Carriage Kia of Gainesville, schedule online, or log into your UVO app to schedule your next service appointment. And be sure to tell them Christa said hi!